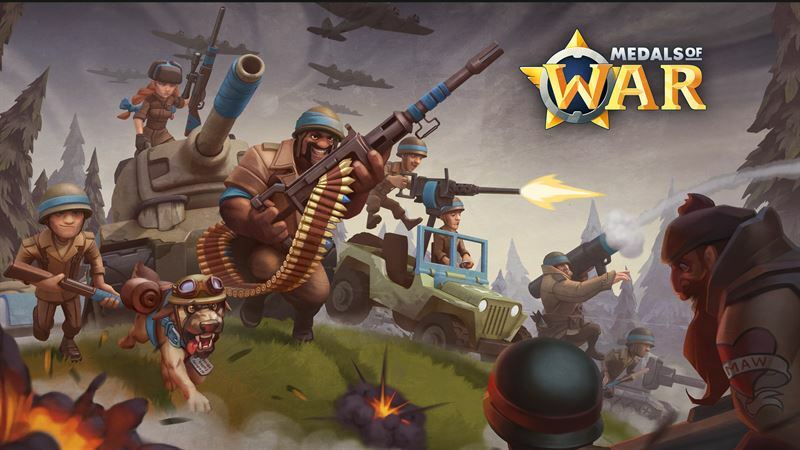 Nitro Games, a leading Finnish developer and publisher of mobile games, announced it’s latest game “Medals of War” is now available on Android on the Google Play Store in 70 countries in 15 languages. “This release signals the beginning of our hard launch of Medals of War on Android. We’ve had the game previously available for testing in Google Play Open Beta. Google has supported us with Early Access –featuring during the Open Beta stage and we’re now happy moving forward with this launch by releasing the game for a wider audience.” says Jussi Tähtinen, CEO & Co-Founder, Nitro Games Oyj. The purpose of the previous Open Beta launch was to offer the game for players to test on Android for the first time while the company was still finalizing the Android version. Nitro Games received a lot of feedback from the player base and improved the game based on the feedback. With this beginning of the hard launch the company can now move forward in the launch process with Google Play and introduce the game to larger audiences. This company announcement contains information that Nitro Games Oyj is obliged to make public pursuant to the EU Market Abuse Regulation. The information was submitted for publication by aforementioned contact person on 21 March 2018 at 09:00 (EET).